In the pharmaceutical industry, HEPA filters are used as terminal filters for the processing or filtration of air in production spaces. They are mandatory in sterile production, although they are sometimes also used in the manufacture of solid or semisolid dosage forms. Amongst the HEPA or high-efficiency particulate air filters are Filter Classes H13 to H14 (DIN 1822), the latter with a retention rate of 99.995%. But how often do they need to be changed? One can frequently find internal company guidelines according to which the filters should be changed annually, regardless of monitoring results. Is that sensible? An exact number, meaning the maximum duration of use for HEPA filters in months, cannot be found in the relevant GMP guidelines. According to GMP, the filter has to be free of leaks. This is verified by qualification and regularly performed leak tests as per ISO 14644-3, which are mandatory for sterile facilities. According to the technical interpretation of the Annex 1 (PIC/S PI 032-2), leak tests are to be performed every six months in A/B zones and every twelve months in C/D zones. The FDA Aseptic Guide demands a regular inspection. The requirements of Annex 1 can be applied here as well. Leaks may be repaired; those repaired areas may only take up 0.5% of the filter surface per filter. However, not only the integrity of the HEPA filter is relevant. The load of the filter (layer) and thus the pressure drop at the filter is also important. If the pressure drop at the filter rises, the energy demand of the ventilation system increases to maintain the necessary air change rates. This pressure drop at the filter can increase to the performance limits of the ventilation system. 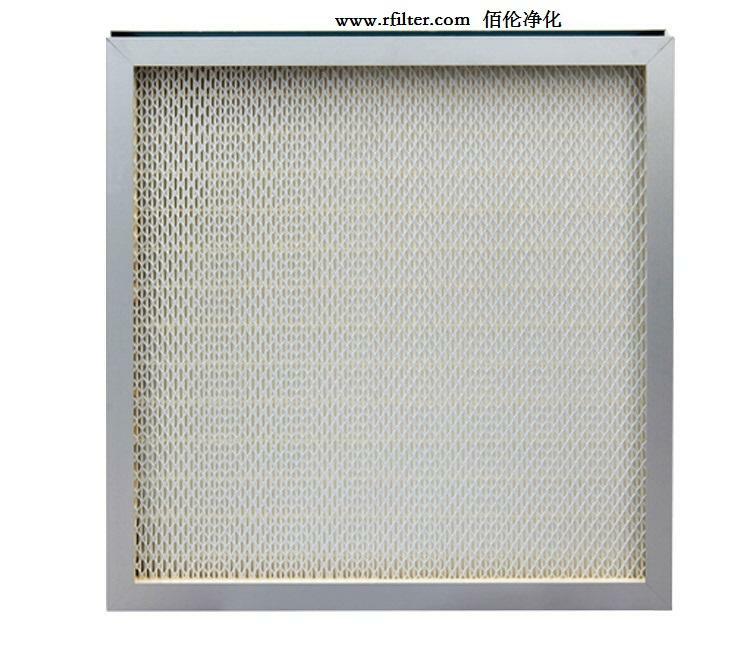 To protect the HEPA filters, preliminary filters are used - usually fine particulate air filters like F7 und F9 filters (EN779). Those have to be replaced regularly and protect the HEPA filters from clogging. From a practical viewpoint, one could say that the maximum duration of use depends directly on the pressure drop. Changing the filters only makes sense if the pressure drop gets too high for the performance of the ventilation system or if the cost of energy demand lies above the cost of a filter change. The filters do have to pass the leak tests (see above), of course. In practice, several companies do not use a filter for more than eight years. As mentioned before, though, this is not a legally binding value, but merely based on experience.